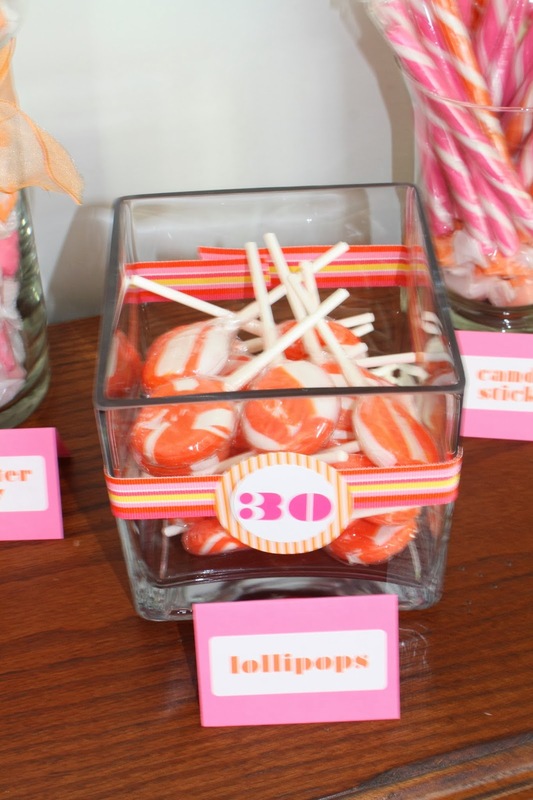 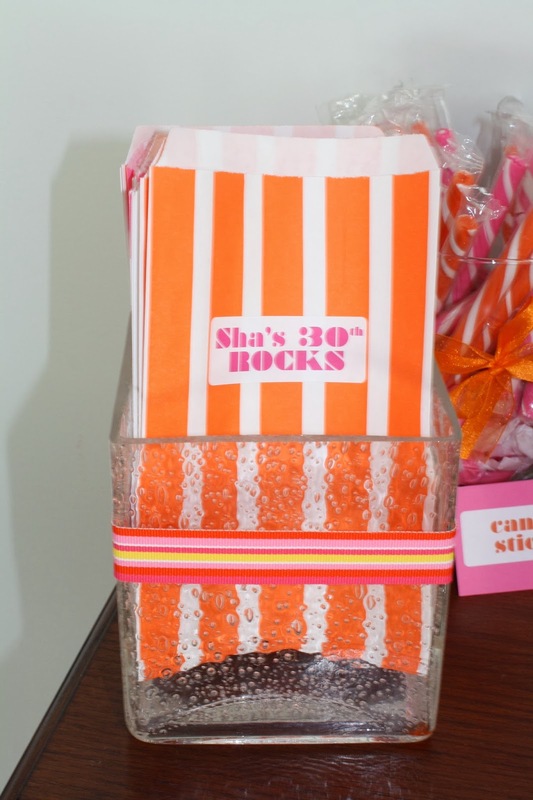 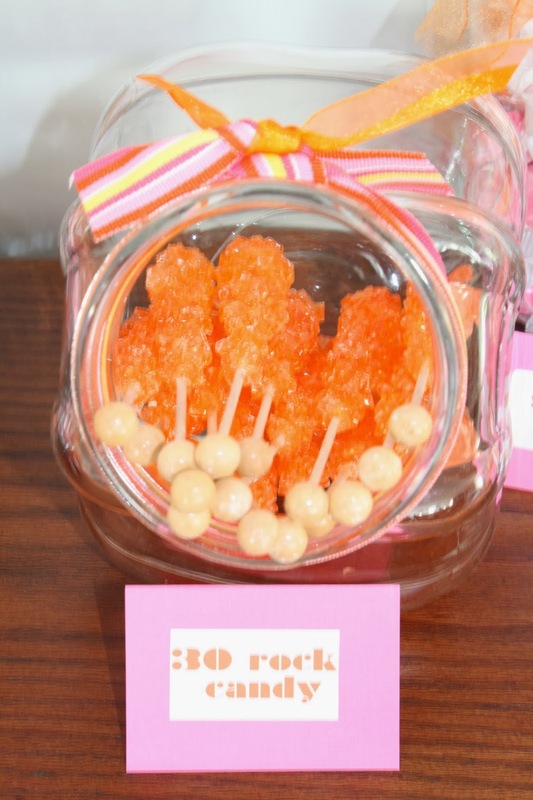 For my baby sister's 30th birthday party I decided to create a pink and orange dessert table and candy bar. 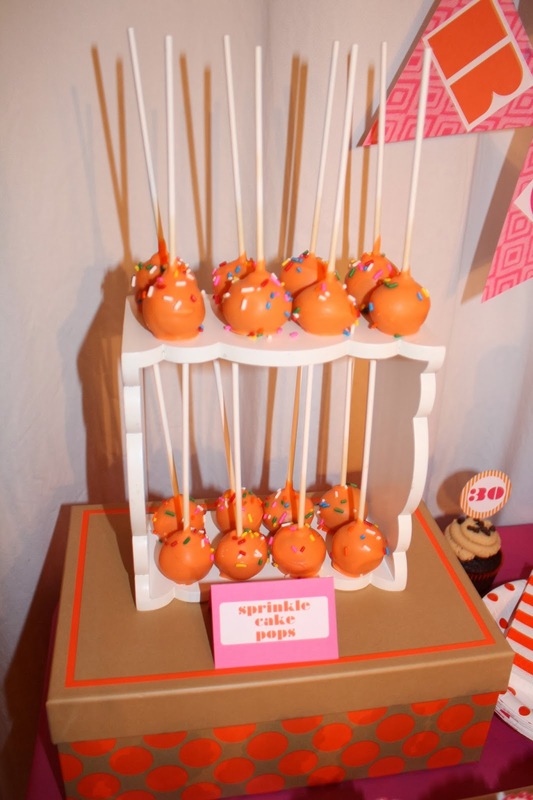 The dessert bar included many of her favorites: vanilla sprinkle cake pops, chocolate cupcakes with an Oreo baked inside and Oreo buttercream, chocolate covered Oreos and chocolate cupcakes with peanut butter buttercream with mini chocolate chips. 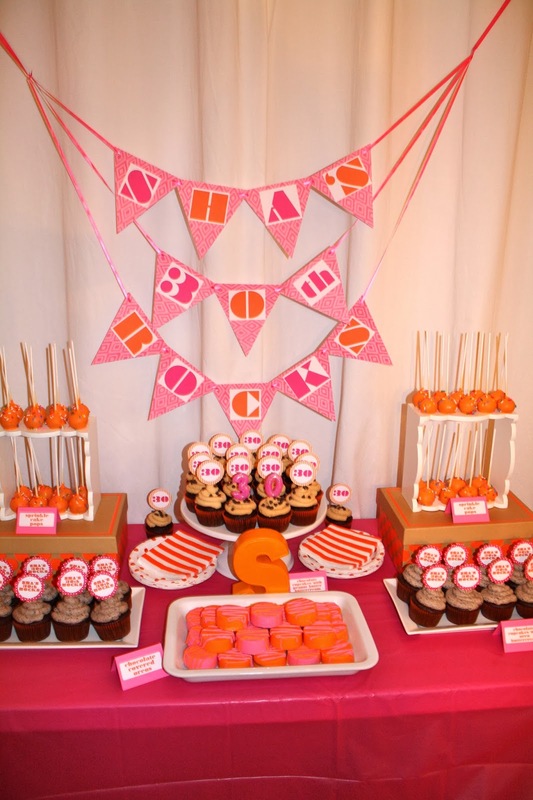 I loved how the pink and orange looked and the birthday girl was surprised! 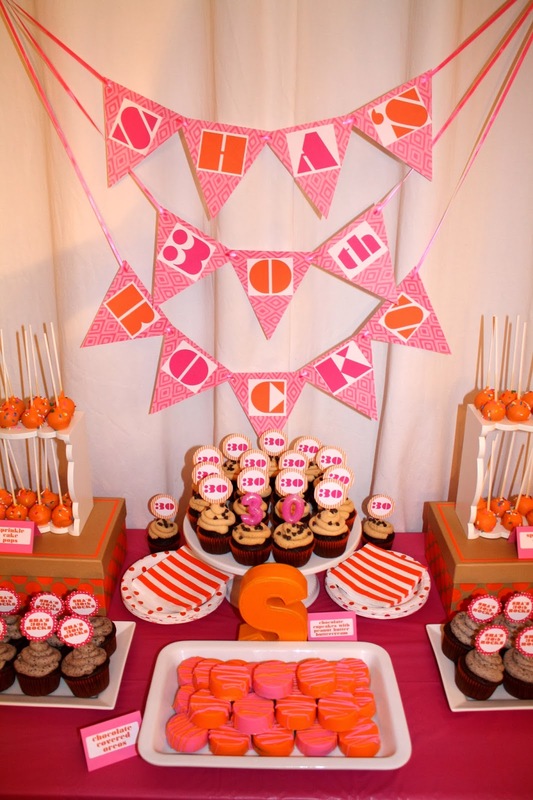 Happy Birthday to the best little sister and friend I could ever ask for!